Fire fighters had their boots filled with donations for muscular dystrophy. 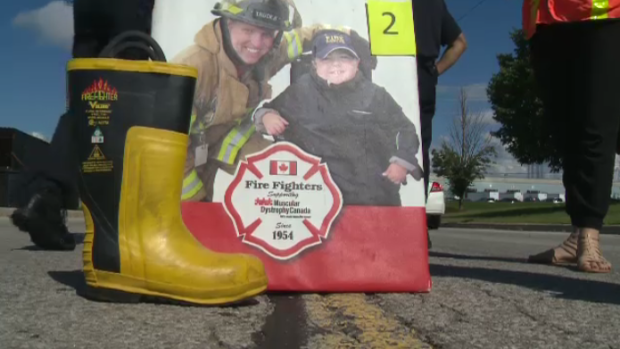 Cambridge fire fighters hosted their annual Fill the Boot event for muscular dystrophy. On Sept. 15 from 9:00 a.m. until 4:00 p.m., fire fighters, their families and friends were at the roadway entrances to the Cambridge Centre. There, they asked drivers and pedestrians to donate money into their boots to raise money for research and awareness. In 2017, 237 Ontario Fire Departments and associations raised over $1.27 million. The Cambridge Professional Fire Fighters’ Association ranked in the top ten fundraising departments, raising over $23,000. 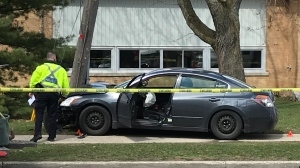 According to the city of Cambridge’s website, Cambridge fire fighters have been supporting muscular dystrophy since 1969, raising over $530,000 to date.